Considering her ongoing, uninterrupted awards show dominance, her string of singles that never peak lower than #2 on the country charts, her strong album sales, and the lunatic silence-all-detractors devotion of her batshit insane fan club, there are serious reasons to wonder if country-pop superstar Carrie Underwood has any real incentive to grow as an artist. Her third album, Play On, while still a good long way from being great, shows some small but encouraging signs that Underwood has grown as an artist, but it also finds a handful of nagging issues left unresolved from her pleasant if slight debut, Some Hearts, and her bombastic, shrill sophomore effort, Carnival Ride. That’s especially problematic on the handful of songs on which Underwood, for the first time in her career, shows some genuine restraint in her vocal performances. She has a gorgeous tone when she sings more quietly, which she actually does on “Mama’s Song,” “Someday When I Stop Loving You,” and “Look at Me” (which features a lovely harmony vocal from Vince Gill). The knock against Underwood has always been that she’s a robotic performer, but on Play On, she intermittently sounds more real than she has in the past. While she still lacks the interpretive skill to sell a song with complex emotional terrain, the one-dimensional material here never expects that of her. Though that may be a backhanded compliment, it’s nonetheless a sign of growth for Underwood. She still isn’t the least bit convincing when she goes into her bad-girl vamp mode on “Casanova” or “Songs Like this,” but she at least sounds like a young woman who’s having fun singing those songs instead of some kind of Ghost in the Shell experiment, and that’s honestly nice to hear. Less nice to hear are the wretched songs that comprise the bulk of the record. While there are reasons to question how much Underwood actually contributed to her seven co-writes here (to her credit, she admits that songwriting is still new to her, and it’s not like professional songwriters such as Kara DioGuardi, Hillary Lindsay, and Luke Laird need much help from an enthusiastic rookie), she does have to share some of the blame for the poor quality of this material. Despite a nice melody, the grade-school rhymes on “Quitter” don’t belong on an album by a star of Underwood’s caliber, while the chorus of “Undo It” is a dumbed-down version of Lucinda Williams’s “Joy.” “Casanova” lacks the post-post-feminist perspective that gives at least a little bit of weight to the Shania Twain singles whose style it apes, while “Unapologize” sounds like an Avril Lavigne castoff. Underwood has not shown much of an identity in her song selection or her writing thus far other than having a weakness for treacly, inspirational ballads (any of the songs here could have been cut by the likes of Martina McBride, Sara Evans, or Kellie Pickler). “Mama’s Song” is a relatively subtle variation on this theme, with Underwood singing from the perspective of a young woman on her wedding day. Far less subtle is “Change,” a bald-faced bid for the next Idol Gives Back charity-drive theme song that lays on a ridiculous guilt trip about those starving children in TV ads. The maudlin “Temporary Home” is even worse, trekking through the foster care system and a halfway house before predictably turning to Jesus in the third verse of its rote three-act structure: It’s so cloying and obvious that even McBride would roll her eyes. Again, a little restraint works in Underwood’s favor. On “Someday When I Stop Loving You” and “Look at Me,” it’s the narrative details rather than manipulative, easy emotions that make the songs work and allow Underwood to show some sensitivity and insight into how to deliver a lyric that isn’t ham-fisted. Even “Mama’s Song” manages to overcome its clichéd conceit thanks to Underwood’s understated vocal turn and producer Mark Bright’s light touch. 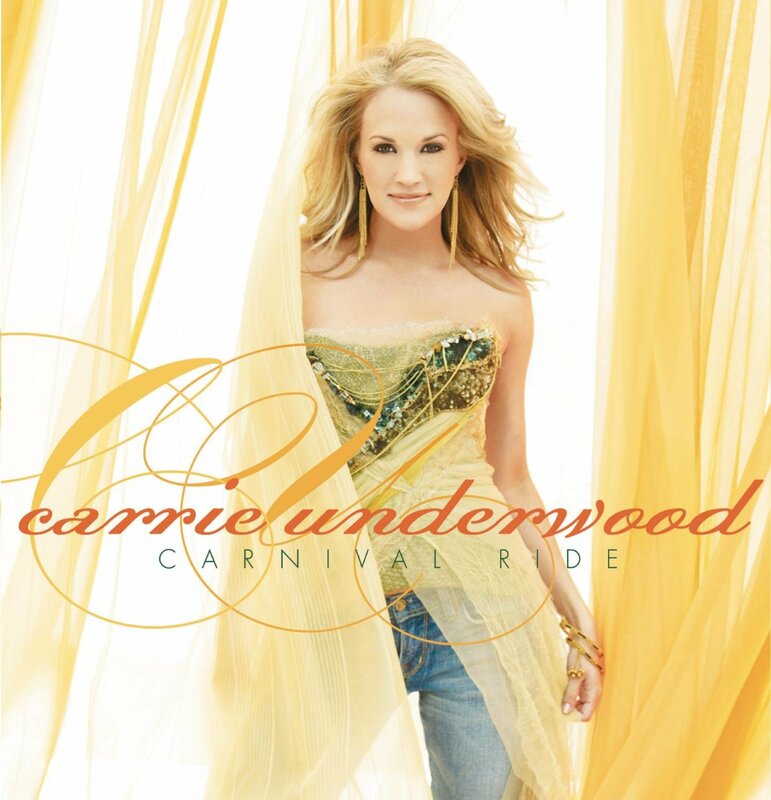 That the album’s overall style remains country-pop is no surprise at this point, but that also plays to Underwood’s strengths. She still lacks the grit and the distinctive, intuitive phrasing of the best country singers, but the better moments of Play On suggest that she’s capable of developing into more than a technically proficient cipher. It’s a shame, then, that the album’s overzealous engineering and lackluster material don’t give her enough opportunities to grow even more.